At the moment, the bird is being kept at the Khar Us Lake National Park headquarter in Khovd city waiting for further decisions. Because there is no place that can house this bird and people who can take care of this bird, what can be done is unclear. Wildlife Science and Conservation Center of Mongolia provided some advises based on our experiences such as providing enough water, water to swim, collect lices for lab analysis, keeping bird in an isolated place to reduce stress from visitors, keep feeding with fish, cover the floor with hey to protect the feed damage from concrete, and clean the wound with antiseptics. Latest information tells me that the bird is eating fish from hand. Although the Dalmatian Pelican populations in western and central Europe are increasing in recent years thanks to rigorous conservation efforts, the species is seriously in danger of extinction in the East Asia. East Asian subpopulation of the Dalmatian Pelican is consisted of birds that only winter in southeast China and breed in western Mongolian lakes. Currently there are less than 130 individuals left in the wild in East Asia. Habitat loss and disturbances at breeding and stopover, and wintering sites and shooting by locals for their beak are considered the biggest threats to this species in our region. 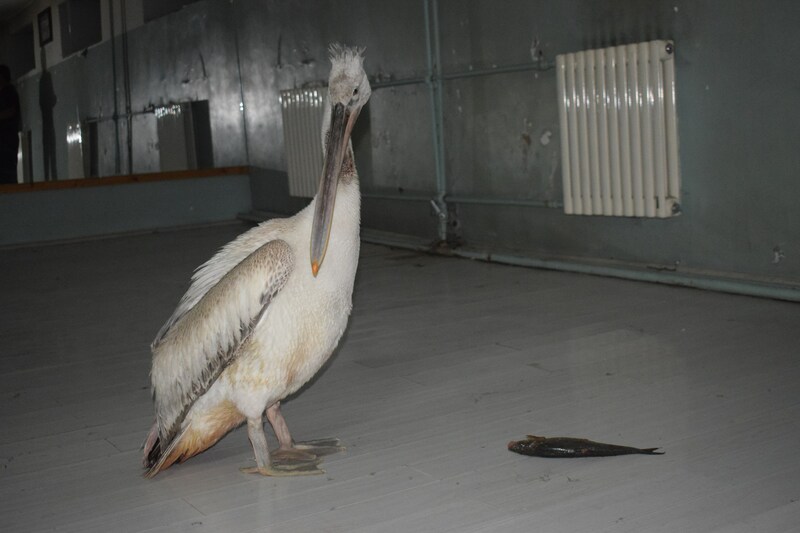 Today’s incident clearly shows that the shooting by locals in western Mongolia still remains as the biggest threat to Dalmatian Pelican in our region. 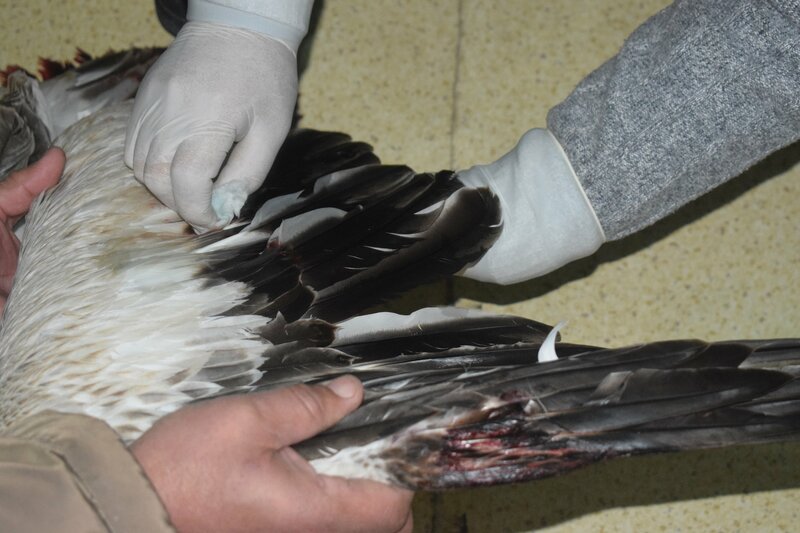 Pelican shooting must be addressed by the Mongolian Government immediately in order to secure the future of this region in this flyway. Recently, the Single Species Action Plan for Dalmatian Pelican has been developed within the framework of African-Eurasian Waterbirds Agreement and submitted to adaptation during the upcoming 10th Meeting of Partners of the EAAFP. 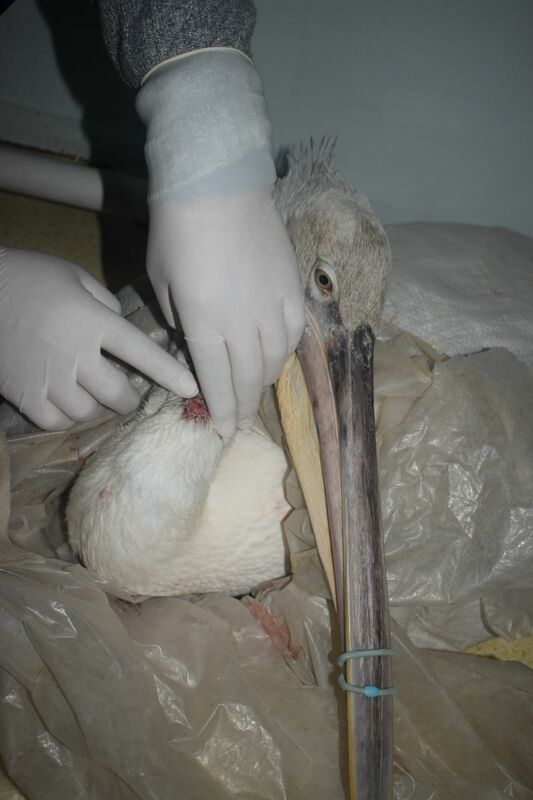 It will be timely important to discuss actions that needs to be taken immediately for the conservation of Dalmatian Pelicans in the region.